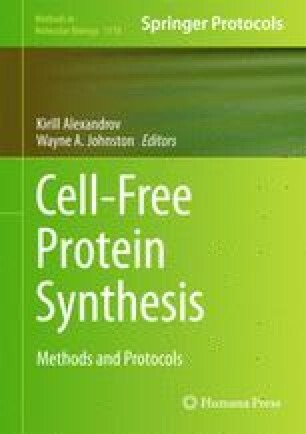 Cell-free protein synthesis offers substantial advantages over cell-based expression, allowing direct access to the protein synthetic reaction and meticulous control over the reaction conditions. Recently, we identified a number of statistically significant correlations between calculated and predicted properties of amino acid sequences and their amenability to heterologous cell-free expression. These correlations can be of practical use for predicting expression success and optimizing cell-free protein synthesis. In this chapter, we describe our approach and demonstrate how computational and predictive bioinformatics can be used to analyze and optimize cell-free protein expression.